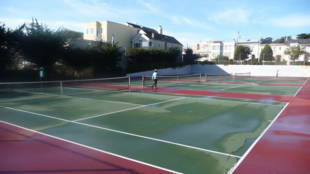 Four full-size tennis courts in great condition, restrooms located on site, drinking fountain, and backboard. There are no lights. 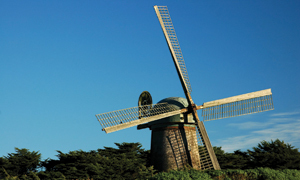 The Dupont Tennis Courts are owned by the San Francisco Recreation and Park Department. 1-California -- California and 30th Ave. Walk a half-block south to the courts. 18-46th Avenue -- Clement and 33rd Ave. Walk two blocks east to 31st, then a half-block north to the courts. 29-Sunset -- 25th Ave. and Geary or 25th Ave. and Clement. Walk five blocks west to 30th. If on Geary, turn right (north). If on Clement, turn left (south). The courts are in between the two streets. 38-Geary -- 30th Ave. and Geary. Walk 1.5 blocks north on 30th to the courts.